The Higher Calling Conference (IMAGINE) exists to be the catalyst that helps you discover Jesus and equip you for a lifetime of ministry. You will have the opportunity to Be Inspired by some amazing speakers, Go Deeper with our wide variety of workshops and training sessions, Take Action by signing up for one of our many missions opportunities, and Have Fun at non-stop social events throughout the week. We’ve invited over 50 speakers from around the globe, dozens of exhibitors, and over a thousand university students from across the country. All that’s missing is you. 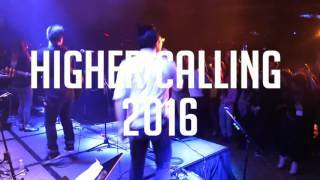 Join us at Higher Calling 2016 (IMAGINE) for an epic week that might just change your life. Higher Calling is hosted by Agape Impact, a ministry with the goal to engage students with the gospel and equip them for a lifetime of ministry. We believe that Jesus changes everything. More at p2c.com/students.